Terraco are proud to have worked together with some of the worlds most famous architects and designers to find the solutions for the finishes they are looking for. We have presented a variety of case studies that investigate how our products have been utilised throughout a selection of projects. 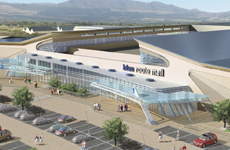 One of Cape Town’s oldest and most favoured shopping centres, Blue Route Mall is still as popular today as it was when its doors first opened in the early 1970’s. 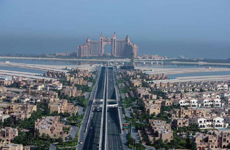 It offers customers a world-class retail experience in its 120 shops, cinemas and restaurants. Upgraded in 2010 it is now one of the largest shopping malls in the southern suburbs of the city. 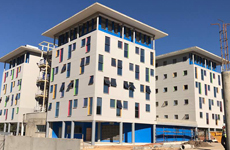 Terraco EIFS systems are being used on many new school projects across the UAE. 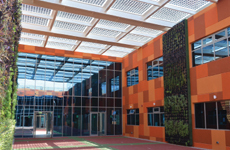 The education department in the Emirates, with its forward thinking energy efficiency building policy, is experiencing the benefit of using Terraco EIFS to reduce energy costs and the carbon footprint in their newly constructed schools. Moscow City Hall constructed a new building for the Fomenko Workshop Theatre which was opened in 2008 that included all the modern technical capabilities. The building’s unique design was created in close collaboration by LLC Architecture, Cultural Policy PNKB and the Fomenko Workshop Theatre. 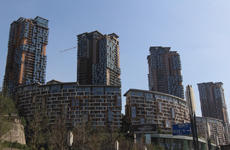 This project is located on the northern coastal road of Chongqing Jiangbei, Jiangbei Business district. 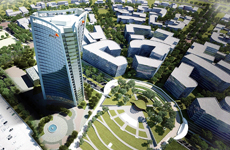 The project is divided into 4 sections – the general business district, hotels, high end residential, and a beautifully landscaped financial business district. 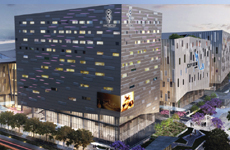 Construction commenced in March 2013 on the Emporium Mall by Nishat Group which is due for completion in 2016. 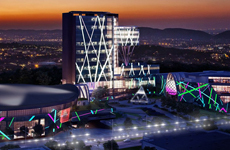 Aedas Architect’s UK Office, one of the 5 largest international architectural practices, were inspired by the world renowned Pakistani jewellery design when designing this shopping mall. 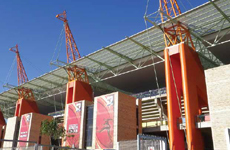 The purpose built 40,929 seat stadium was one of the ten venues for the FIFA World Cup South Africa 2010. Built by a consortium, one of the most interesting features is the roof support in the shape of a giraffe. The stadium is the centrepiece of a proposed wider sports precinct for athletics and cricket as well as other sporting activities. Since its founding in 1980, Terraco is now available in over 75 countries, serviced by 18 strategically located production facilities, and therefore it is not surprising for Terraco products to be found on some iconic building across the globe. 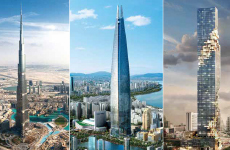 A point in case are internationally recognised landmark projects located in Dubai, Seoul and Bangkok, where Terraco’s Handycoat surface preparation projects are reaching new heights. Spray applied plasters have been widely used in Europe since the 1960's and is today one of the main forms of plastering used in modern building systems. Terraco with its Sprayplaster systems is a market leader in spray-applied surface preparation compounds. Located in the Amur Region of East Russia is the city of Blagovetsensk, where Terraco EIFS was used to thermally insulate this commercial office building. 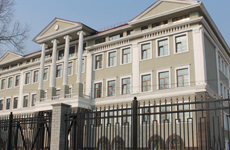 The decorative coating used to finish the EIFS was Terracoat Fine in a combination of white and warm grey. Guangzhou was the second Chinese city to host the Games, after Beijing in 1990. 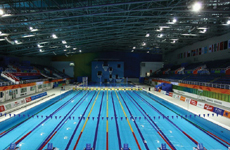 A total of 53 venues were used to host the events including 11 venues specifically constructed for use at the Games, one of which was the Aquatic Centre. 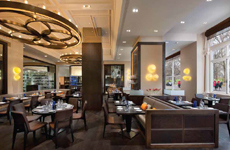 Overlooking iconic Hyde Park and Knightsbridge is the Mandarin Oriental Hotel Hyde Park. A luxurious 5-star hideaway, close to London’s major attractions. Located inside this glorious hotel is the Heston Blumenthal restaurant, one of the world’s most celebrated restaurants. The restaurant completed in December 2010, opened for customers in February 2011. 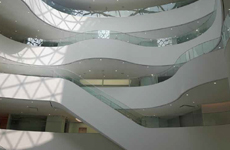 Conceptualised and designed by renowned CannonDesign Architects, this world-class research and development headquarters for CJ Corporation, Seoul, South Korea, used Terraco’s Ambient Acoustic system on some 15,000 m² of ceiling surfaces to dampen noise levels. The slick, white clean design in the atrium area called for a new solution to reducing the noise levels. 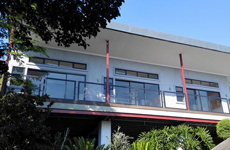 The client required an addition to the house, so the addition was built with LSF (Light Steel Frame) and Terraco EIFS. 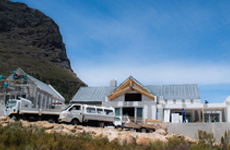 Project was the first ever AAC block built project. Terraco coated the entire building with our EIFS system components, and installed feature EPS panels, to create depth for the Architect. 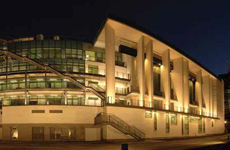 All shopfronts and areas on the roof were built with LSF and the full EIFS specification. The client built his home out of LSF and MGO board. Terraco finished off with sealing the board with Terrabond A, treating all joints with Styrobond and mesh, then coated the full surface again with Styrobond and Mesh, and finished off with Terracoat Suede. This Marley sample house was coated with Terrabond A, jointed with Handycoat Flex and mesh, base coated with Styrobond, meshed and coated with Terracoat Suede. All balconies are built with all weather boards. All boarding was sealed with Terrabond A, jointed with Handycoat Flex, and then base-coated and meshed. The entire area is then skimmed with Handycoat Exterior and painted with a Plascon elastomeric paint. Areas were created with LSF and Terraco EIFS. Hunter Douglas was installed after. There are 2 portions to this project. 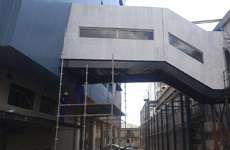 External areas were created with LSF (Light Steel Frame) and Terraco EIFS. 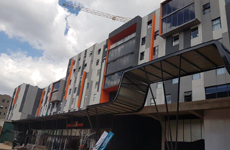 Internal walls were built with AAC and coated with the Terraco AAC Plastering System of Terrabond A, Styrobond DP HB, Terramesh and Handycoat EZ-Skim Interior. 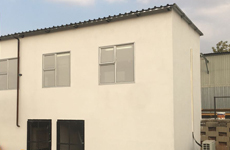 A new office complex for the United Nation Aid Organization in Swaziland was decorated with Terracoat Excel 2mm in various UN colours.